Research shows that positive employee-boss relationships have benefits in and out of the office. Anyone who has ever worked for someone else knows that your boss can make or break your experience at a company. A terrible boss can drive you to leave even your dream job, while an encouraging and supportive boss can make a less-than-ideal work situation bearable. It turns out that there’s a scientific reason for this. New research from San Diego State University suggests that “ethical leaders” — supervisors who form positive, engaging, and respectful relationships with employees — can lower stress, improve well-being, and strengthen work performance (not to mention, give you a friendly face to look forward to on Monday morning!). Here are a few reasons that a positive relationship with your boss is so vital — and why you might want to consider working elsewhere if you can’t seem to click. The San Diego State researchers found that when an employee’s family- or life-related stress spills over into the workplace (a situation known as “hindrance stress”), having a supportive employer to go to can mitigate the negative effects. “Research suggests that ethical leaders… are often inclined to be truly interested in how employees feel, empathize with their concerns, and actually take the time to discuss them. In other words, they can act as a ‘resource’ for employees to rely on in challenging situations,” Gabi Eissa, Ph.D., lead researcher on the study and assistant professor at San Diego State University, tells Thrive. It creates a happier office. 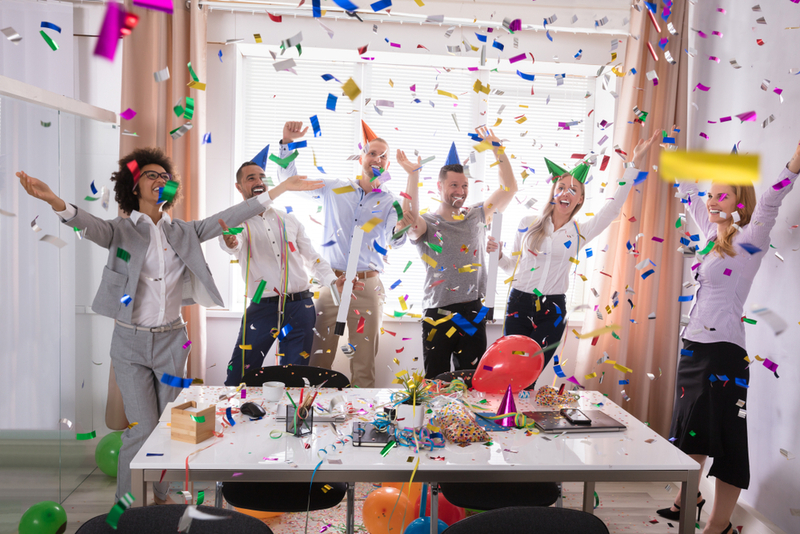 When employees and bosses engage in a positive way, their behavior extends beyond the individual relationship — it affects the culture of the whole office. In other words, not only are the boss and employee happier, but the entire team benefits from a standard of behavior that promotes kindness and respect. By forming positive employee-boss relationships, colleagues can help create a positive atmosphere within their own office that draws everyone else in, too. Not only can being friendly with your boss boost your mood, it can help you perform better at work, too. Gallup found that managers account for 70 percent variance in employee engagement — meaning that your boss has a significant impact on how engaged you are. The more positive and encouraging the manager, the more engaged the team. It should come as no surprise, then, that employees who are more engaged in their work perform significantly better than employees who feel disconnected from their job and colleagues. In fact, one study found that increased engagement within a company led to record-high earnings and credit quality. While reaching out to your boss might not be the best solution to every productivity slump, genuinely connecting with them — and your co-workers — over a period of time could help you feel more engaged in your job, and benefit your work and well-being as a result.